The first years of life of a kid are a time of growth and exponential learning. This is especially true for a preschooler’s language development. Taking a couple of minutes a day to read with your child will be a great way to boost her linguistic development. Plus, it’s a great bonding activity! Find a time that works best for both of you: Whether it’s when waking up or going to bed, choose a time in which you can both cuddle together and enjoy a good book. Bedtime is often a great idea because it’ll unwind your toddler from a busy day of activities and relax her, prepping her for bed. This can also be useful for naptime. You can even select special books for nap or bedtime; that’ll help cue your little one that it’s time to go to sleep. Get comfortable: Find a quiet, cozy place where you and your little girl may cuddle and read together. Reading provides special one-on-one quality time that strengthens the bond between you and your daughter. You can even have a reading corner somewhere in the house and have all your child’s favorite books around. Choose the right books: When looking to expand your child’s library, keep in mind her interests, maturity, and reading level. Look for picture books with colorful, big images that you can comment about while reading. Does your little one have a favorite character? Get a book about it! Find stories with basic plots about subjects that your daughter is curious about or that somehow relate to her experiences. Have books all around: A great way to get your little girl in the habit of picking up a book is to have them around! 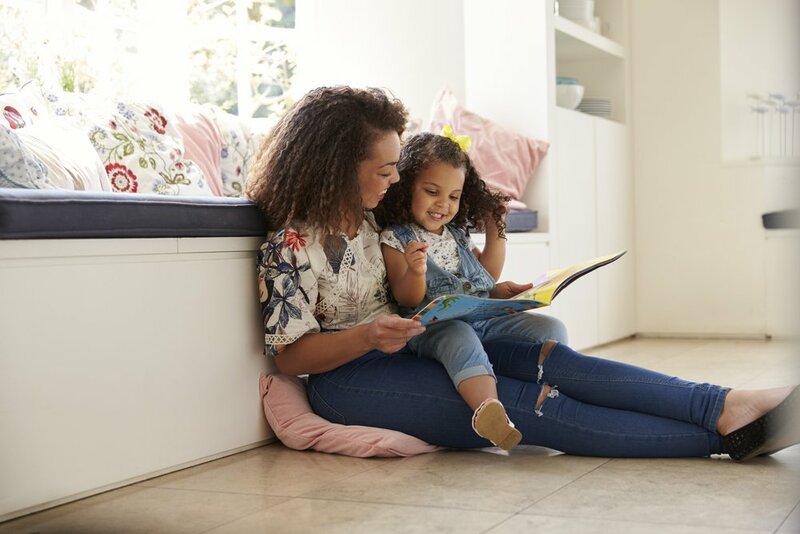 Activity books, such as hunt-and-find books or sticker books are a fun idea to incorporate during playtime since they provide endless entertainment for preschoolers. You can also find stories that review basic concepts like colors, shapes, letters, and numbers.